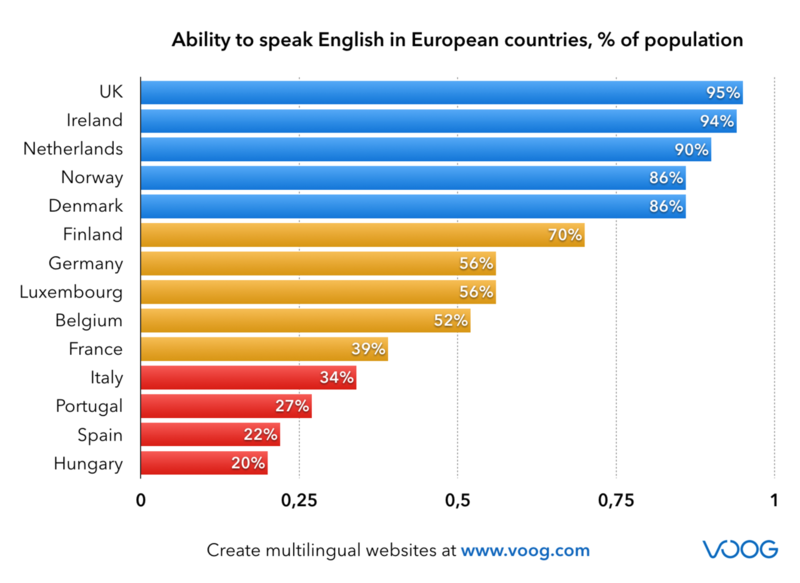 Contrary to the common knowledge, not many people actually speak or use English outside some certain islands in Europe. 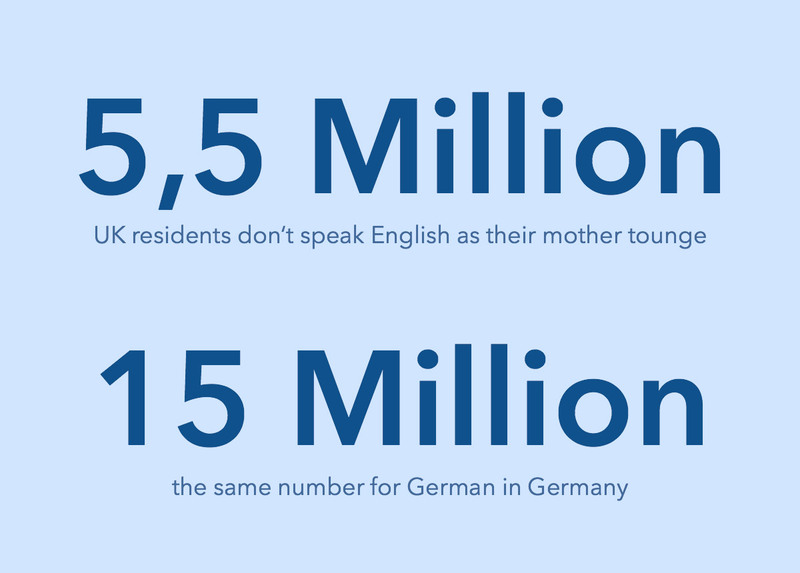 True – educated, younger people do often speak 3-4 languages, including their mother tongue and English. But that’s not as big a percentage as you’d think. Worse, knowing a language isn’t the same as preferring or even using it. 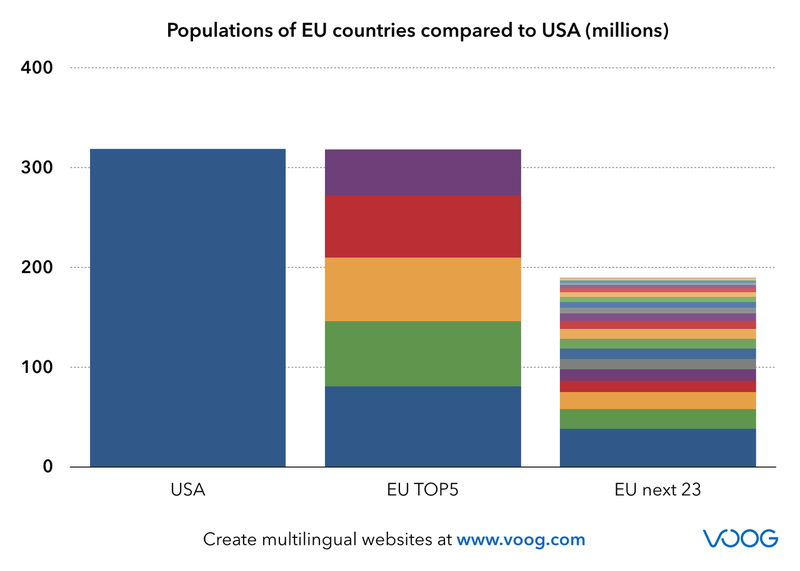 Having a multilingual website in Europe is a must. Otherwise you switch off a huge part of your potential audience. 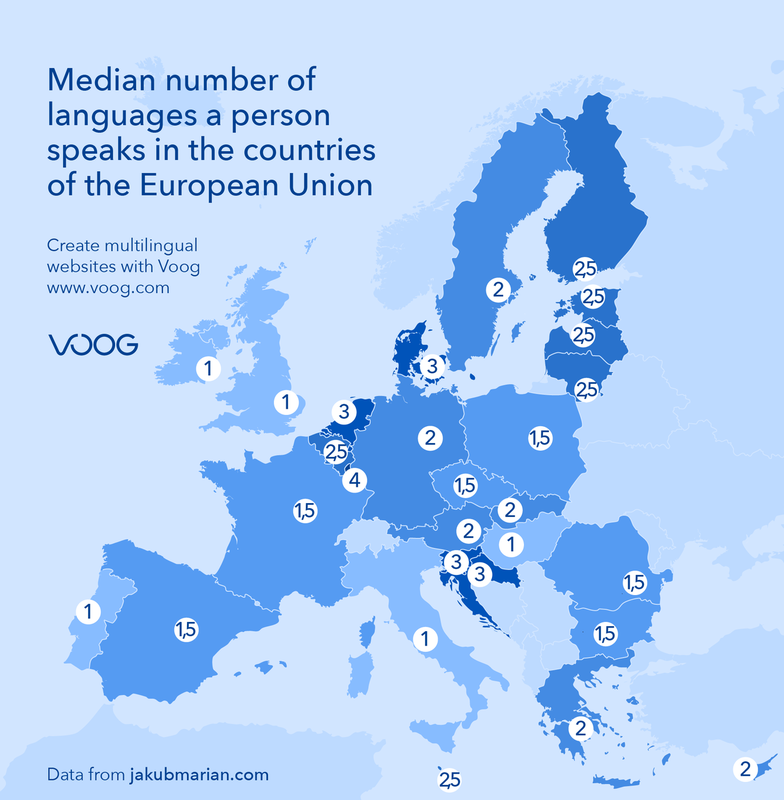 Or even worse – in most countries it’s normal to really not know more than one (or two) languages. Large proportion of your potential customers are from the neighbouring countries and most probably speak another language. Be inclusive, your market can’t possibly end with the borders of your tiny home country. It would be easy to think that in Belgium, “Belgish” is spoken. But no, there is no such thing. Most of the people there speak either French of Flemish, a dialect of Dutch. But there are millions more, who speak the language they brought from home with them when they came to live and work in the heart of Europe. Address more than just the main language of your country. Outside of UK and Ireland not so many can even speak it not to mention use it for meaningful usage of your website. More than 30% of the visitors on an average website come from search engines. Almost all the searches are done in the native language of the searcher. If your website has no content in their language, they will never even see your site in the results.